Central Four Mile Creek has a limited number of accommodation options. If you don't mind a bit of a drive, you can select a room in any of the 4 options within 10 kilometres. To stay as close as possible to the main areas, the Lumera Chalets and Ocean Retreat are top choices. For some alternatives, checkout the Tidal Waters Resort and the Bayside Inn. They are located 30 kilometres and 30 kilometres respectively from the main center. Wotif also suggests the Scamander Beach Shack and the Blue Seas Holiday Villas. The first is 14 kilometres away from town, while the other is 14 kilometres away. 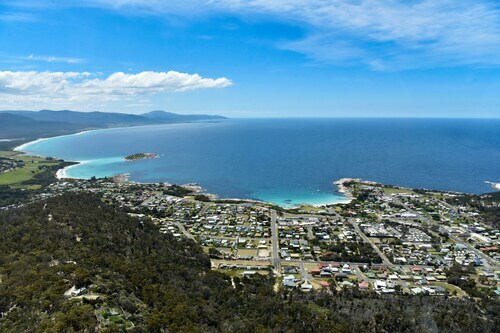 The nearby cities of Scamander and Bicheno are worth going to. Scamander is 14 kilometres to the north of Four Mile Creek, while Bicheno is 30 kilometres to the south. 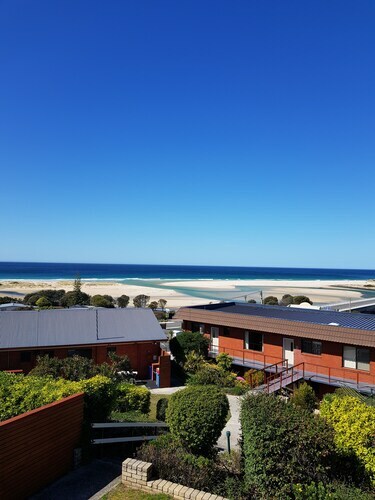 Accommodations in Scamander are the Pelican Sands Scamander and Scamander Tourist Park. The Beachfront At Bicheno and Bicheno's Ocean View Retreat are some of the options in Bicheno. Aussies are famous for their love of sport, so why not visit Aurora Stadium? Aurora Stadium is situated to the west of Four Mile Creek. Those wanting to find a bed close to the action can make a choice from the Quest Launceston Serviced Apartments and the Apartments at York Mansions. Launceston Airport is the most convenient airport, and is located 90 kilometres from central Four Mile Creek. Conveniently located hotels on Wotif include the Relbia Lodge and the Arendon Cottage. How Much is a Hotel Room in Four Mile Creek? Hotels in Four Mile Creek start at AU$100 per night. Prices and availability subject to change. Additional terms may apply. 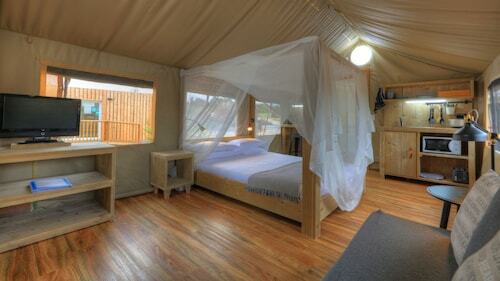 Great experience in a family safari tent! Kids loved the double bunks, beds so comfortable, great night roasting marshmallows on our personal campfire. Unique experience - highly recommend!